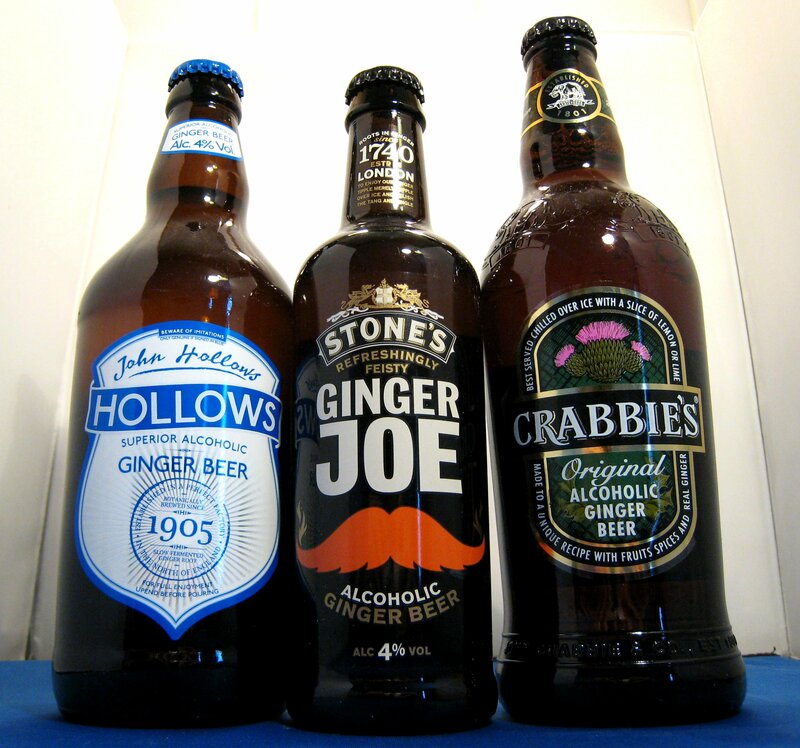 Just when I thought that I’d covered all of the alcoholic ginger beer available in the UK, I find another! This, like Brother’s offering, is a ginger cider and is made for the supermarket Morrisons. The Ginger Cider is made by H Westons & Sons of Much Marcel, Herefordshire, who are well-known for their range of cider and perry, including their organic selection, Stowford Press and my favourite, Old Rosey, a really great, scrumpy-style cider. This ginger cider is bottled at 4%ABV and is made with the first cider apples from the 2010 season; it’s traditionally matured in oak vats and ginger flavour is then added. I noticed, from their website, that Westons also make a Sparkling Raspberry-twist Apple Cider, as well as a Ginger Twisted one. This latter variety is also bottled at 4%ABV and so my guess would be these are one and the same product. This review of Sainsbury’s Alcoholic Ginger Beer comes courtesy of reader Chris Purdie, who suggested that I try it. I always like to keep an eye out for new products – Mrs. B always knows which aisles she’ll find me in, should I wander off in the supermarket – but it’s great to get tips from our readers. This beer was created by the Head Brewer of Freeminer Brewery, Don Burgess, a gentleman who lives “to brew beer, not make money”. The Freeminer Brewery is situated in the Forest of Dean in Gloucester. The name “Freeminer” comes from the fact that, in the middle ages, if you were born within the area of the Hundred of St Briavels, you had the right to earn a living as a miner of the ore and coal deposits of the area. In addition to working with Sainsbury’s, the brewery work with the Co-Op for their own-brand of beers. 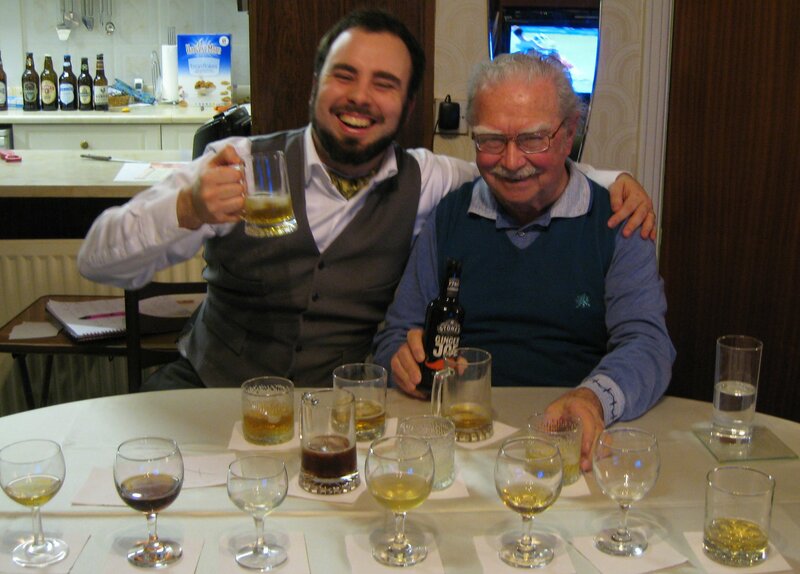 As with the Original Tasting, I went and saw David Smith Sr. and we tasted the product together. When I started looking into Alcoholic Ginger Beers, I knew of only one, but, as time has gone on, this will be the 11th that I have reviewed. It just goes to show that ginger is in at the moment and I consider Sainsbury’s contribution to be a welcome edition to the marketplace. Thomas Henry Tonic Water is just one of a range of mixers produced by this German firm that we shall be reviewing today. I’ve long been interested in tonic water and, after a recent tot-up, I realised I have now tried over 50 different varieties; so you can imagine my intrigue when Simon Difford’s digital version of Class Magazine gave first place in their Tonic Water tasting to a product that I had never even heard of, let alone tried. 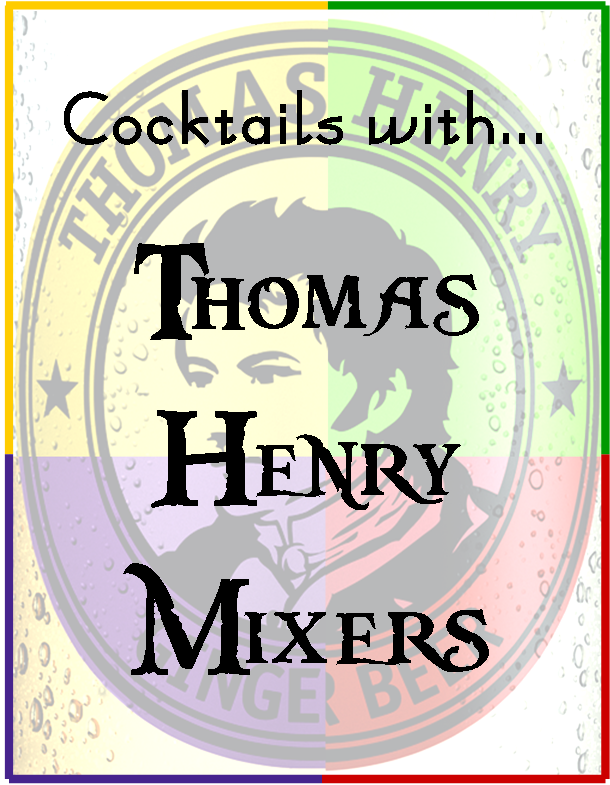 Thomas Henry was an apothecary from Manchester, England. He is attributed with the first production of carbonated water (the first fizzy drink/soda) in 1773; he made this in 12-gallon barrels. The technology he used was based on the system by Joseph Priestly (who invented/discovered carbonated water in 1767). It wasn’t until 1794 that Jacob Schweppe started production of his sparkling water. Clean, crisp, fresh and light. This is not too heavy in terms of citrus and has a balanced sweetness. It has a high-to-medium level of fizz and a good depth of flavour, with some earthy bitterness and a touch of sweet citrus at the end. i) As always in my tonic water tastings, I used Plymouth Gin for this Gin & Tonic. The drink was excellent: the full flavour of the gin comes through, with added bitter and fresh characteristics from the tonic. It was clean and crisp, with a brilliant balance; exactly how a Gin & Tonic should be. ii) For a second G&T, I used Knockeen Hills Elderflower Gin. Superb; I was surprised at how much of the flora and fruity elderflower notes from the gin were brought out by this tonic water. There was a touch of sugar at the end, but the cocktail is neither too sweet, nor cloying. This was a great way to enhance the gin and a very tasty Gin & Tonic. I used Beluga Vodka. With Thomas Henry Tonic, this made a pleasant drink, with the underlying vodka coming through. This drink seems quite clean and refreshing, and citrus notes are more prominent. Once again, the mixer complements the spirit, rather than overpowering it. Good levels of citrus, sweetness and bitterness. Medium fizz with a full, but not overpowering, flavour. There’s also a good tang at the end, as well as a crisp bitterness, rather than a nasty cloying effect. This is a traditional way to drink this Xoriguer Mahon Gin, from Menorca; the floral and herbaceous flavours of the gin are very strong and cooling, and the bitter lemon provides a crisp, citrus finish. This gin can also be used to make a great Gin & Tonic. I used the Marks & Spencer Sloe Gin (made by Boudier, In France) Delicious; a gentle way to lengthen your sloe gin in the summer. The bitter and tangy citrus contrasts nicely with the sweet, fruity and marzipan characteristics of the sloe gin. 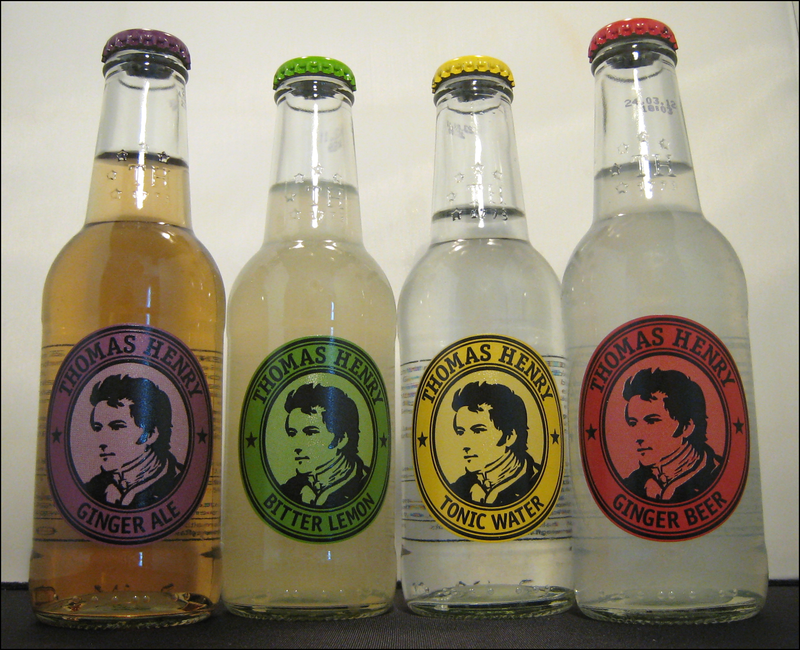 Thomas Henry’s Ginger Ale has a typical ginger ale nose, with ginger, citrus, and a hint of sugar, all of which are quite light. It has a medium-to-high fizz and quite light flavours, including subtle ginger. There’s good effervescence, although it’s a touch cloying. Still, it is a fresh and unobtrusive mixture that should work well with most spirits. Quite nice, with a ginger-nut biscuit fieriness. Flavours of the gin come through strongly and the drink is not too sickly, although in vast quantities it may become so. An unobtrusive mix: the ginger ale gives the brandy room to breathe and the flavours come through. For my taste, it’s a tad sweet and could do with some more fire, but it’s still rather good. A very familiar nose of a good standard ginger beer. Reminds me of my standard when using the soft drink, D&G’s Old Jamaica. A cool start, with medium-to-high fizz, musky ginger and then sweeter, with medium fire from the ginger. 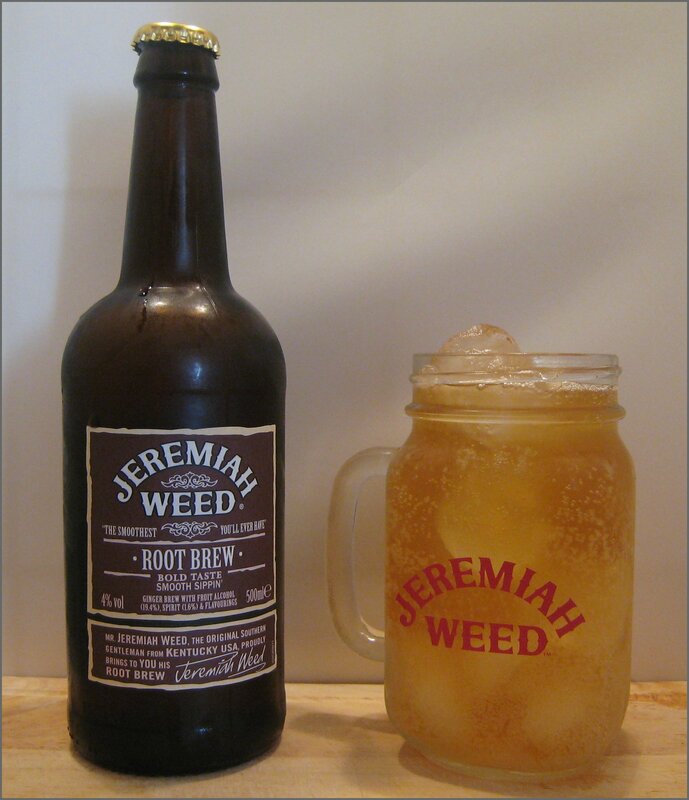 A very good mixer and comparable to Old Jamaica, but not better. 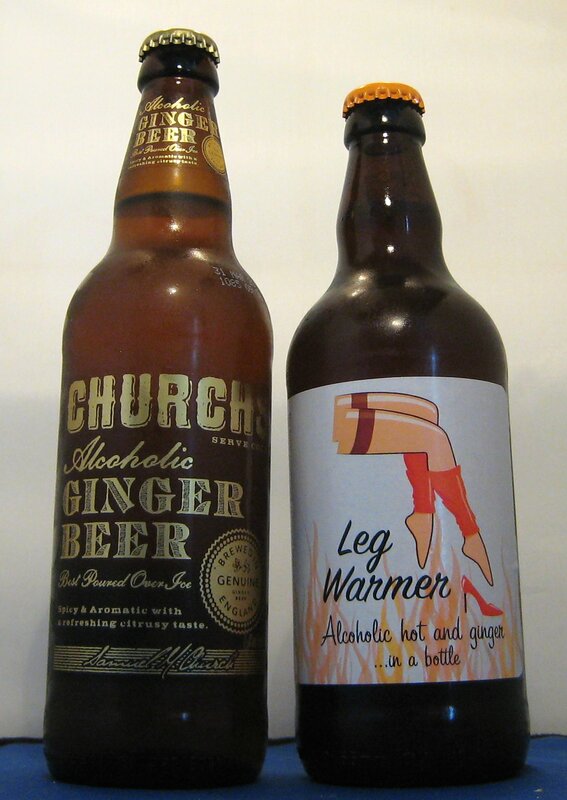 Works well; the ginger beer is not too intrusive, but does add something to the mix. The drink isn’t sickly or overpowering and is a good standard for the Moscow Mule, but not spectacular. Pretty tasty. The ginger beer let’s the dark burnt sugar of the rum through, whilst adding the fresh combination of lime and ginger, as well as a fiery kick. Very tasty and above average, but not exceptional. I think that it’s clear from my review that I am impressed with Thomas Henry mixers overall, the Ginger Beer and Ale being of a good standard and the Bitter Lemon being better than most of its competitors (it was the bitter-sweet balance that did it). But Thomas Henry’s Tonic Water was the real gem of the tasting; it is truly exceptional and possibly the best I have ever had (a blind run-off of my top 5 is in order, I think). Overall, this is an excellent range. I hope that they find a UK distributor soon so that we can all get a chance to try and enjoy them. The Thomas Henry Products are not available in the UK but if you are and importer/distributor and think it may be of interest please Contact Them Here.
.* Sebastian seemed a little bemused at how much e-mail interest he had been getting from the UK in the previous day; once I had explained about the article (and e-mailed him a link) it became much clearer. It certainly seems like the Alcoholic “Ginger Beer” is growing at a steady rate; at the beginning of the year, I was aware of just three varieties, but now I’m about to review #9 and #10. 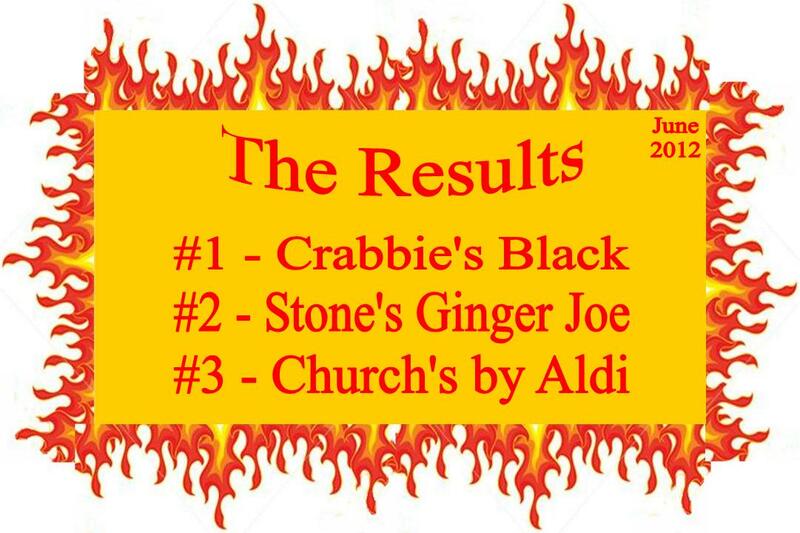 You know something is a boom when the low-cost supermarkets want a piece of the action, and that is exactly what has happened with the first of today’s ginger beers. 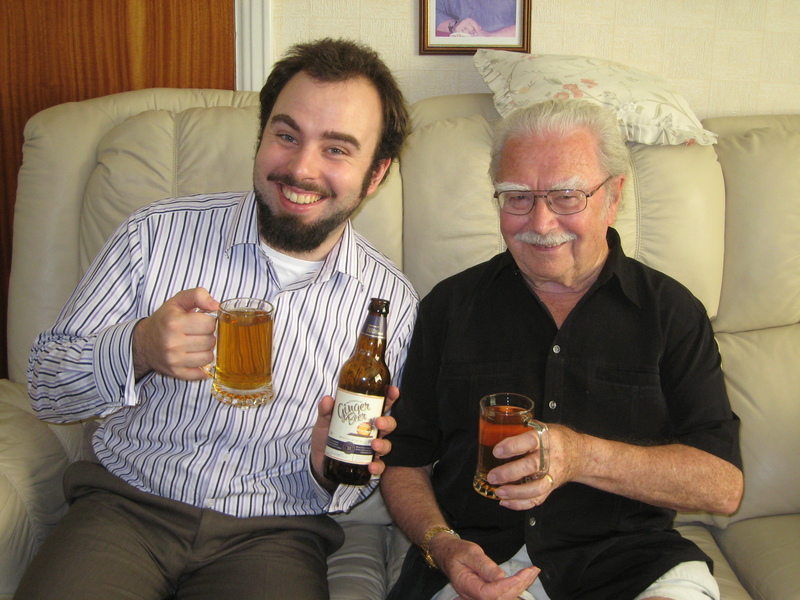 The second ginger beer comes from the Piddle Brewery in Piddlehinton, Dorset. Amongst other products, they also make the following beers: Jack’s Riddle, Silent Slasher and the seasonal Santa’s Potty. Certainly an ale-led Ginger Beer, it has the appearance of a cloudy pale ale, with no fizz; it is quite hoppy, with ginger at the end, but it is quite subdued. However, it is most pronounced on the aftertaste. It certainly isn’t one that you’d serve on ice and it has a suggested serving temperature of 12-13 oC. Unlike most of the other ale-led Ginger Beers, this is not too rich nor stout-like, which makes it rather more refreshing. This is available from various Piddle Brewery Outlets; I got mine from the excellent top notch Champagne Charlie’s near Ocean Village in Southampton. Worth checking out if you’re in the area and looking for something a bit special. 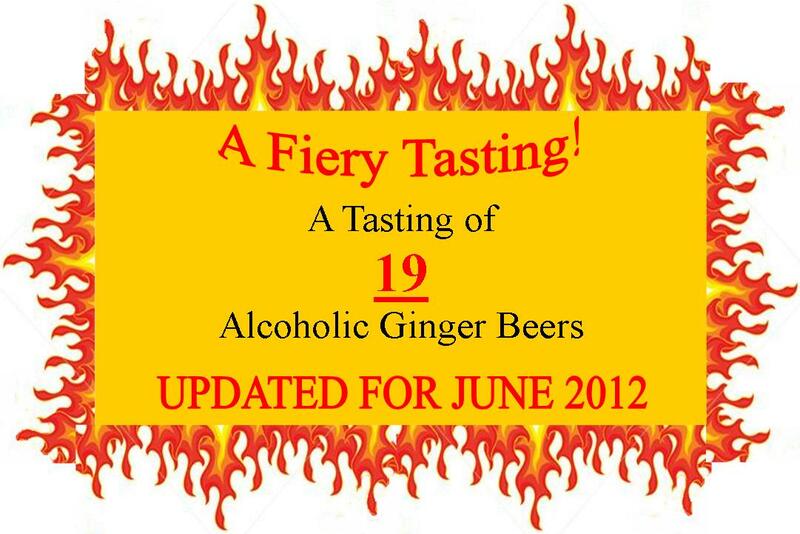 For the rest of the Alcoholic Ginger Beer Tasting, click here. 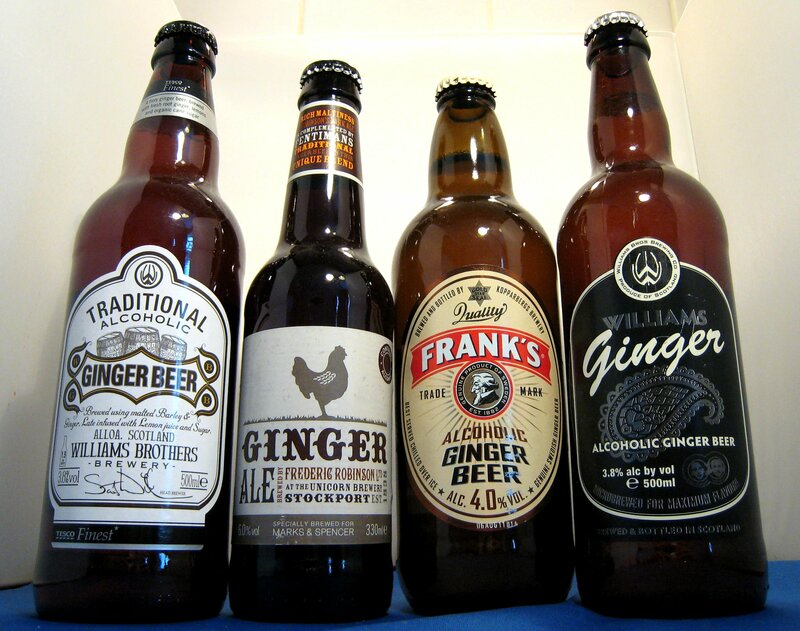 Last month, we held a tasting of seven alcoholic ginger beers of one form or another. Two of those that we tried were less than 6 months old at the time of tasting, but it looks like another company have entered the alcoholic ginger fray since then: Brother’s Cider. I picked up their Ginger Cider from Tesco’s, where 500ml will set you back £1.99. 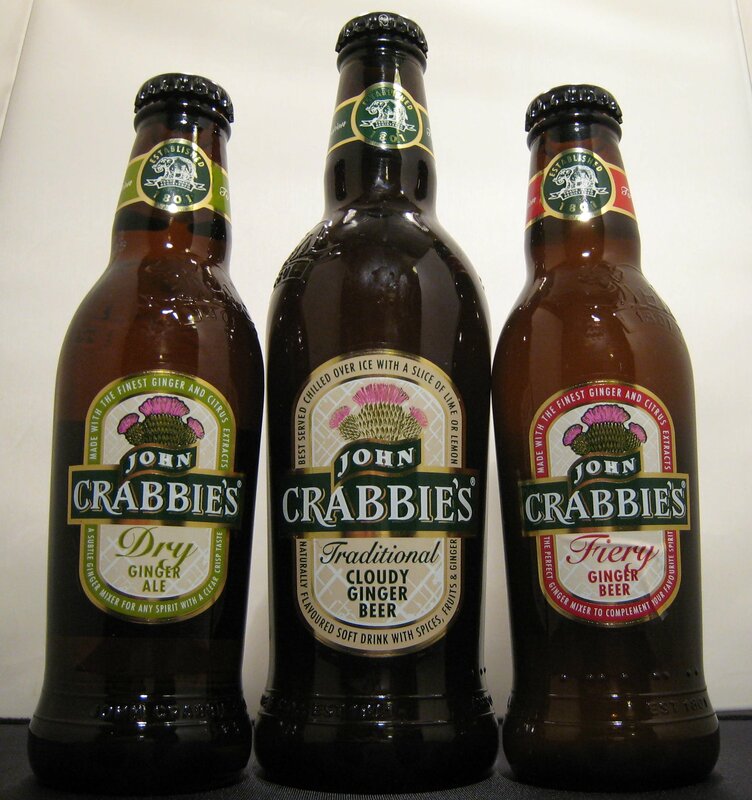 Whilst preparing for an upcoming Alcoholic Ginger Beer tasting, Mr Hartley (from the IAE) and I found ourselves invited to event that would give us as sneak preview of the most famous Alcoholic Ginger Beer of the moment, Crabbies. The event was held at The London Cocktail Club on Great Newport Street, where I finally got to see the fabled bottle of “ancient” Miller’s (nothing to do with the more contemporary Martin Millers, this was flavoured with Bahua leaves. There are similarities with this and the above variety. I’m typically not a fan of diet drinks as the sugar substitutes seem to through the sweetness off and tend to cling to the mouth. This variety’s seem lighter and I definitely prefer the sweetness of the non-diet version. As diet versions go though it is quite good. Pow! A good fiery kick at the beginning (interesting, because Hartley felt the kick at the end), full of flavour and one of the most fiery ginger beers out there. This comes in a 200ml mixer-size bottle for use in Moscow Mules or to mix with Gosling’s Rum for a Dark ‘n’ Stormy. My favourite of the ginger beers that we tried, this was a very unusual combination and one that I think may well catch on. The orange flavour was quite strong and could be described as “confectionery orange”, reminding me of orange boiled sweets or orange Starburst (Opal Fruits). As I drank more, the orange flavour reminded me a bit of orange flower water and, finally, faintly brought back memories of Still Fanta. This was a tasty variety (Hartley agreed) and is one to look out for in the future. This was my favourite drink of all that I tried that evening. Why? Because here, finally, is a commercial Ginger Ale with some kick to it. Those that attended the Graphic Ginger Ale evening will be aware that some varieties taste a bit washed out, with few having much of a fiery kick. This delivers that along with a sweet spiciness reminiscent of cinnamon and nutmeg. The strong ginger flavours of Crabbie’s Dry Ginger Ale are a nod toward the old “Belfast style” of Ginger Ale and is a very welcome addition to the market. I’ve had it again since the launch and it was even better. And, as if that was not all, we also got a sneak preview of Crabbie’s 12yr Old Blended Scotch, their new Speyside-based product. It was all rather hush-hush and I wasn’t even allowed to take a photo, but, having tried a dram (or two! ), I can say that I rather liked it and that it is up there with the better blended scotches in its price range. 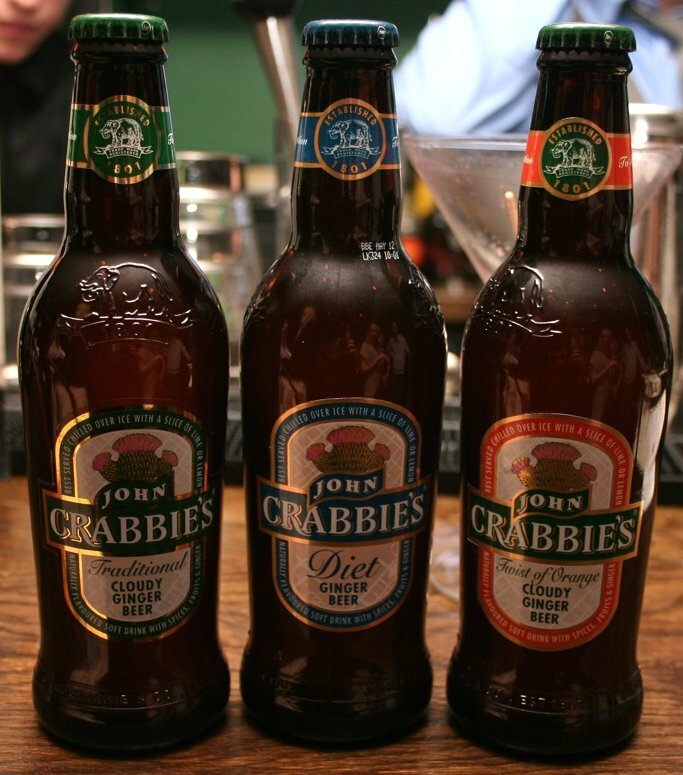 To me, it seems a good way to expand the brand and go back to Crabbie’s whisky roots. I look forward to using it with their Ginger Wine to make a freshly mixed Crabbie’s Mac. 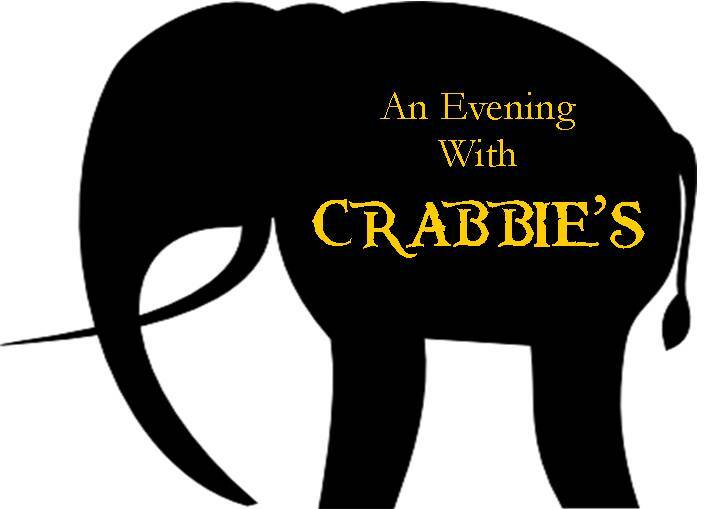 My thanks to Jennie and all the folks at Crabbie’s for inviting us and to team at the The London Cocktail Club and Wayne Collins for helping to have a fun & tasty evening.